Presuming that the heart of Paul’s gospel announcement was the news that God had raised Jesus from the dead (as indicated in 1 Thessalonians 1:9b-10), Pillar explores the evidence in Paul’s letter and in aspects of the Roman imperial culture in Thessalonica in order to imagine what that proclamation would have evoked for its first hearers. 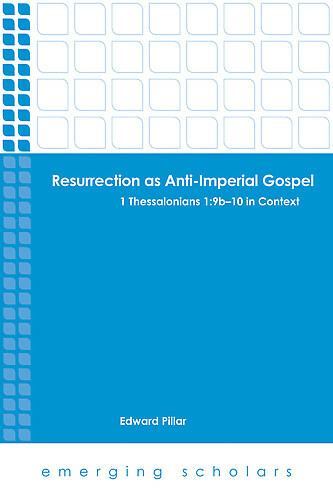 He argues that the gospel of resurrection would have been heard as fundamentally anti-imperial: Jesus of Nazareth was executed by means of the epitome of imperial power. The resurrection thus subverts and usurps the empire’s immense power. The argument is verified in aspects of the response of those living in a thoroughly imperialized metropolis.